I'm so excited to have two girlfriends coming into town this weekend. You may remember that we got together back in March for a mini-reunion, and it was just so much fun that we pledged to do it again soon. This time, it'll be in Charlotte! Friday we will have a low-key night at home with appetizers as dinner. I scoured my Pinterest board for some ideas, and here is what I came up with. We'll also have some of the other stand-bys -- veggies with hummus, salami, olives. You know how I roll on Fridays ... so of COURSE I have a fun cocktail planned for us! I'm so excited to try a new recipe with some of my very favorite ingredients. I just can't wait for Friday evening to get here. Watch for our shenanigans on Instagram (@alizadventures)! 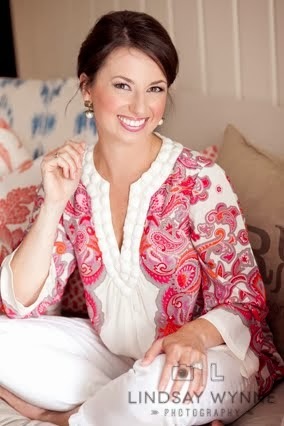 PS: Tomorrow is the 5 On Friday link-up, hope you will join us! I have always wanted to try chicken and waffles! Those look good. I just requested to follow you on insta and I can't wait to see the fun you and your friends have this weekend! 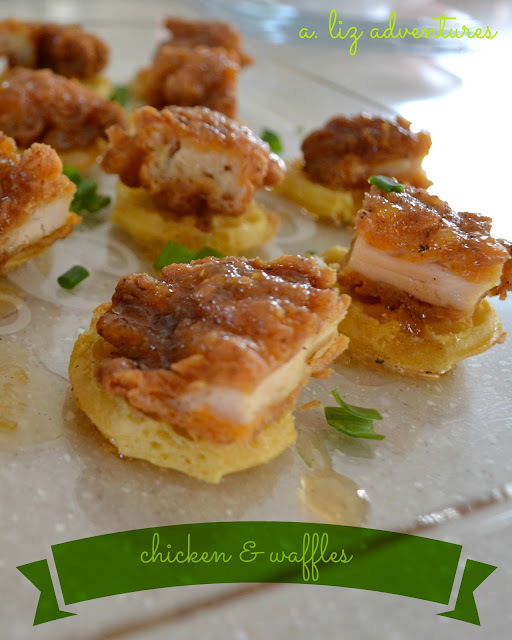 Those chicken & waffles look amazing - I can't believe I've never tried them! Enjoy your girls weekend! All of that food looks so yummy!! I love just having appetizers for dinner- so many options! YUM! 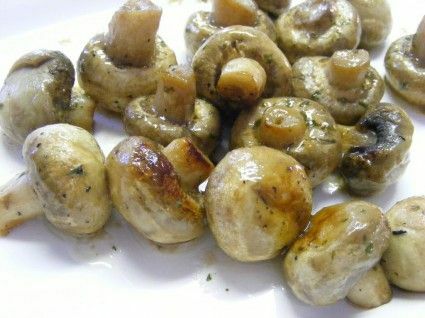 Adding these mushrooms to my crock pot recipe list! Can I come and move into your house? I really think the 3 of us - and the pups would have just a grand time!! I love the idea of the chicken and waffle bites. How cute!! Enjoy the time with your girls - can't wait for the recap. just that picture of chicken and waffles makes me almost change my mind about them. Yum. It all looks delicious. Have a fun time!! OMG -- Just tried chicken and waffles for the first time and I loved it! It hasn't been more than 5 days and I want some more. Have a great weekend! 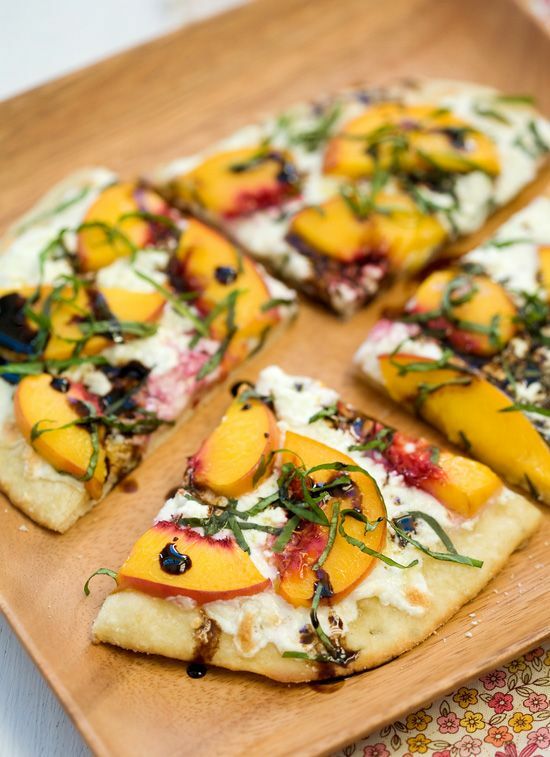 That pizza looks fabulous! We took a pizza making class in NYC and learned lots of little tricks but still don't make homemade pizza nearly enough. Love the chicken and waffle app idea, too! So cute.